Investing in a restaurant dedicated to humble comfort food may not be at the top of hedge-fund manager wish lists, but they might reconsider after eating at Melt Down Grilled Cheese. 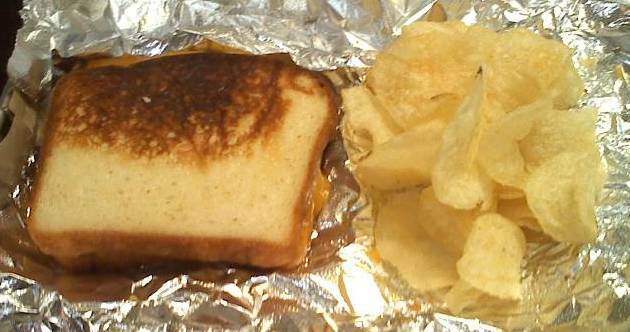 With its gluten-free bread option (a $1 upcharge), Melt Down serves up two small sandwiches, each cooked using a special spatula on a piece of aluminum foil to avoid cross-contamination. On my first visit, I got the BCT (bacon, cheddar cheese and tomato); the bread was as warm and toasty as you can get. On my second trip, I was awed by the even better crab sandwich, made with Monterey Jack, crab meat and a creamy Imperial sauce. All of the sandwiches are served with a bag of chips and pickle spear. An added bonus is the fountain drink selection. 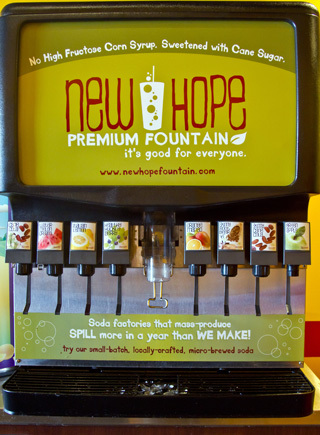 The sodas are sweetened with cane sugar (no high fructose corn syrup here) and taste better than the standard big-market sodas put out by the likes of Coke and Pepsi. 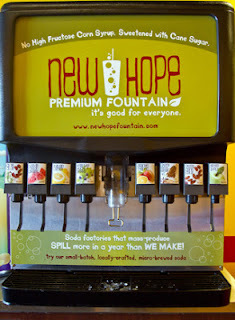 I particularly enjoyed the lemon, orange-mango and root beer flavors, all from Bryn Mawr's New Hope Premium Fountain. The restaurant's soups are not gluten free, which is mildly disappointing if you’re used to pairing a hot cup of creamy tomato with your sandwich. I'd also love to see gluten-free versions of Melt Down's Grilled Mac & Cheese and grilled ice cream sandwiches. Still, I appreciate the variety of options that are available and consider it a step toward the day when more of the menu items can be made gluten free. You’ll be pushing the $10 mark for a meal at Melt Down, which is comparable to other higher-end fast-casual restaurants like Chipotle. While you might be able to whip up a decent grilled cheese sandwich on your own, it's not as likely that you've got ingredients like thick-cut bacon, cured ham and crab meat in your home fridge. It's access to those additions that makes a trip to Melt Down a worthwhile one. When I went there, they had just opened a couple of weeks prior they were not knowledgeable about gluten at all. They didn't know what gluten was. They told me they had nothing gf there to put on the gf bread they had advertised. I was uncomfortable to eat there due to their lack of knowledge. I took my GF daughter on Wednesday and she loved it! Thanks for the recommendation! !